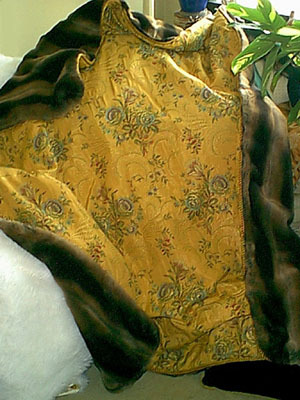 The Splendor lap robe features exquisitely soft, deep-pile light brown striped chinchilla faux fur. The faux fur is imported from France. 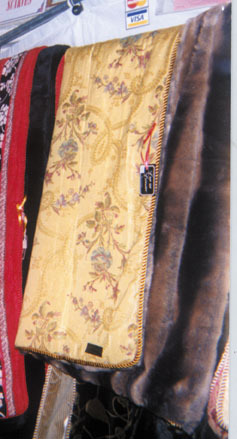 The elegant brocade, from Belgium, has a floral design on a field of yellow ochre. Splendor is trimmed with a gold cord.